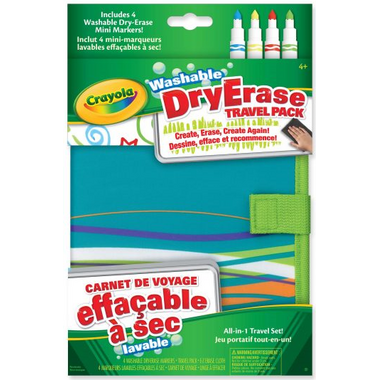 An all in one travel set that includes everything you need to crate and re-create with Dry-Erase, at home or on the go! This pack includes 4 washable dry erase mini markers, travel pack with dual dry erase surfaces and E-Z erase cloth. My 4 year old son loves this. It's great for the car and restaurants.